Peer counseling groups offer a forum for consumers to share their experiences with one another, teach one another how to access resources, and share strategies for solutions to disability related issues. With a staff and board of directors comprised of 51% of individuals with significant disabilities, we identify with the significant needs of our consumers. 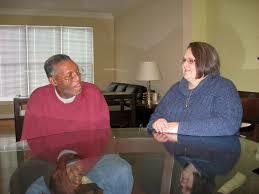 CILB Independent Living Specialists offers consumers one-on-one peer support when needed. CILB also organizes and sponsors peer support for groups with similar disabilities so individuals can share their concerns, issues, and ideas with one another. Currently, CILB staff engage in support groups for those with spinal cord injuries, brain injuries, the deaf and hard of hearing, and various other groups as necessary.